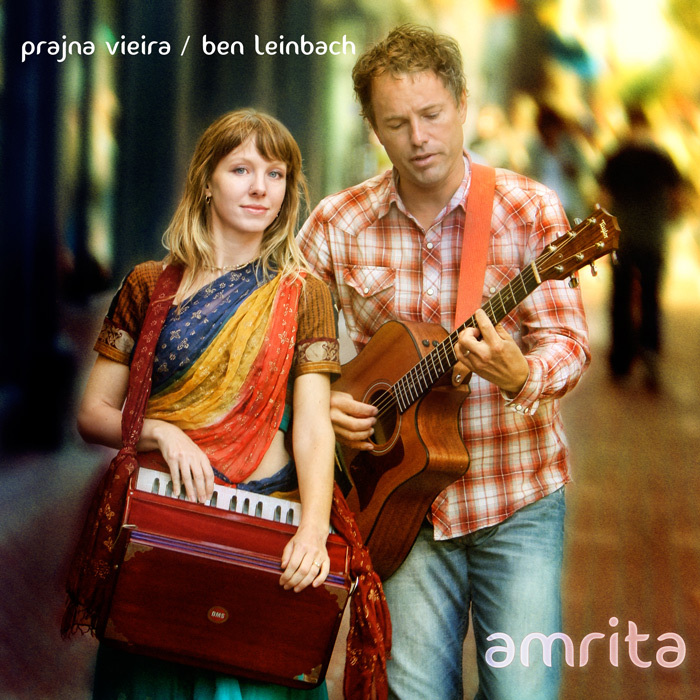 Prajna Vieira is a vocalist, composer, multi-instrumentalist and yoga teacher, best known as lead singer of the acclaimed kirtan ensemble “Mukti,” and for her work with world music pioneer Jai Uttal. She began practicing kirtan at age five, and today she leads kirtans all over the west coast. Prajna’s mission is to lovingly bridge the traditional, cultural roots of Bhakti Yoga with the soulful flavor of Western music. Ben Leinbach is an award-winning producer, composer, engineer and multi-instrumentalist. He has produced recordings with Jai Uttal, Deva Premal and Miten, Snatam Kaur, Shiva Rea, Donna De Lory, David Newman, and many others. He co-produced and co-wrote several tracks on Jai Uttal’s Grammy-nominated album Mondo Rama.